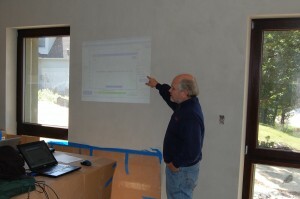 Gary Nelson from the Energy Conservatory was gracious enough to perform the final blower door test today. 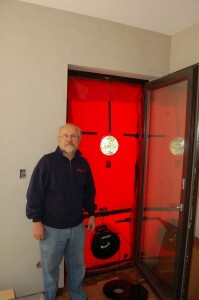 We used the Minneapolis blower door with a duct-blaster and Tectite Software—following the PHIUS protocol and the DIN EN 13829 norm. 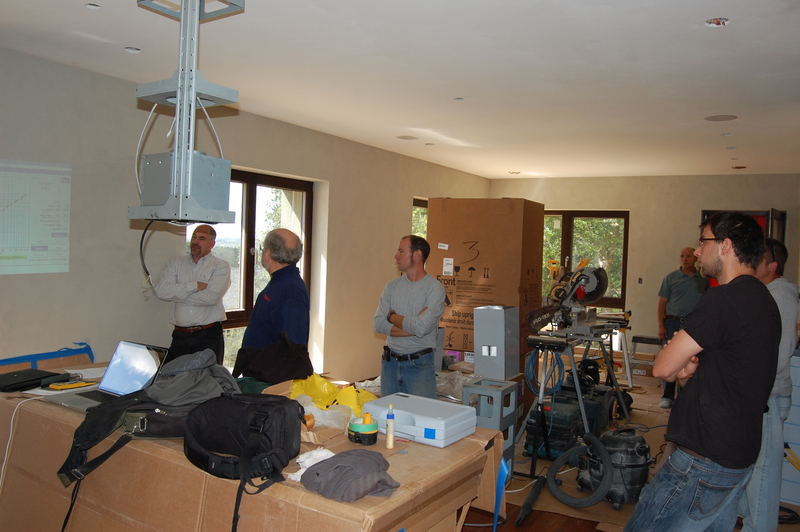 The house performed better than during the rough-in test, which was to be expected since added finishes and completed window assemblies add to the tightness of the home. The averaged result: 68 CFM50 leakage, or 0.25 ACH50. Both blower door tests have been a fun learning experience for the team and a big success, since the house performed remarkably better than the Passive House limit of 0.6 ACH50. For those who think in CFM leakage numbers, the house averaged 70CFM—75 depressurized (0.28 ACH50), and 60 pressurized (0.22 ACH50). For those who could care less 😉 this is a really, really tight house.